This is what my reliable work horse for the last couple of years looks like now. 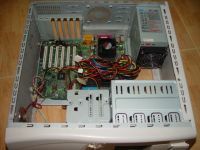 All the useable parts have been stripped and recycled in the new PC. 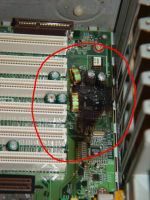 Here is also a close-up of the burnt area on the motherboard, right behind one of the PCI slots.